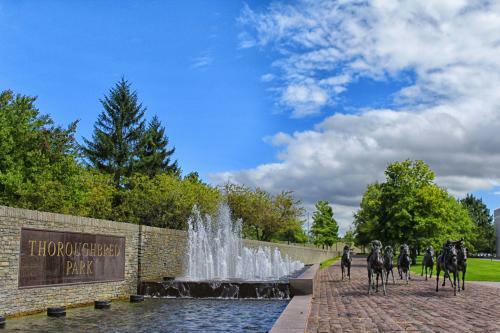 These are just a few of the many group tour itinerary options for Lexington and the Bluegrass Region. Check the suggestions below for 1, 2 and 3 night itineraries. The professional Group Tour sales staff of VisitLEX will be happy to assist you in making your Lexington tour a memorable one. Just register or consult with Group Sales at 800-848-1224. 12:00 pm Welcome to Lexington - Start with lunch and a tour of The Kentucky Castle and surrounding grounds. Lunch includes entree, vegetarian side and either salad or dessert. 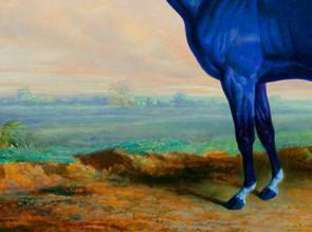 3:00 pm Visit one of our famous private Thoroughbred farms. 4:30 pm Check in at hotel. 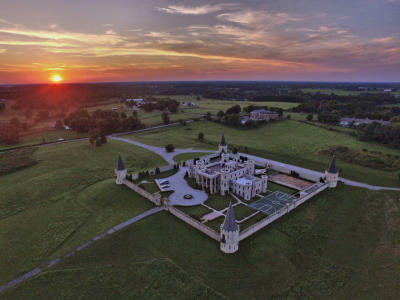 5:30 pm Depart for the Kentucky Horse Park&apos;s "Kentucky Sundown". A fun-filled evening including a park tour, Taste of the Bluegrass buffet and optional add-ons such as an Equine Meet and Greet or Hall of Champions presentation. 7:00 am Depart for Keeneland Race Course. 7:15 am Early morning workout and breakfast at the Track Kitchen. Watch Thoroughbreds work out -- track side. Your step-on guide gives you a behind-the-scenes look at the Thoroughbred racing world. 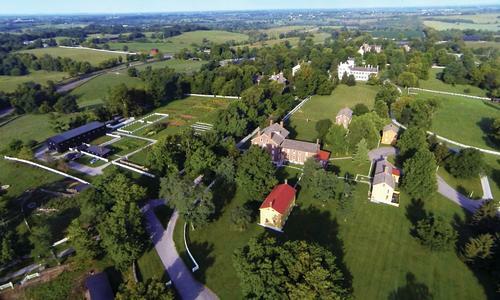 8:30 am Depart Keeneland for a driving tour through the magnificent Bluegrass countryside. Have your cameras ready! 9:15 am A "sweet" stop at Old Kentucky Chocolates to see bourbon chocolates being made. Free samples! 10:00 am Depart Lexington for Berea to shop at the crafts capital of Kentucky. Lunch at the Boone Tavern Hotel owned by Berea College and famous for spoon bread and student service. 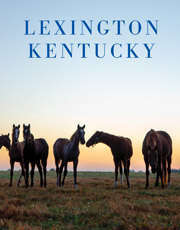 12:00 pm Welcome to Lexington - Arrive at The Barn, located at The Summit at Fritz Farm, and enjoy local dining options. Then explore more than 70 surrounding shops. 2:00 pm Depart for a tour of Talon Winery. Wander the vineyard and enjoy a wine tasting. 4:00 pm Check in at hotel. 6:00 pm Dinner at a Lexington restaurant. 7:30 pm Arrive at the Mary Todd Lincoln house for a private tour and Mrs. Lincoln&apos;s famous White Cake. 7:00 am Depart for Keeneland Race Course to experience the early morning workouts and breakfast at the Track Kitchen. Your step-on guide gives you a behind-the-scenes look at the Thoroughbred racing world. 10:30 am Depart for Shaker Village. 11:30 am Arrive & tour historic Shaker Village. See demonstrations of handmade Shaker crafts and music with a stop at the Gift Shop. 1:00 pm Lunch at the restaurant at the Trustee&apos;s Office. 3:00 pm Return to Lexington and take a stroll through historic Lexington Cemetery, an incredible arboretum featuring local flora. 5:30 pm Try a Kentucky Hot Brown or other Southern cuisine at Ramsey&apos;s Diner. 7:30 pm Depart for the Red Mile and try your luck among 900 "instant racing" machines or witness live racing at the Harness Track (seasonal). 10:00 pm Return to hotel. 9:00 am Depart Lexington for Georgetown, KY for a tour of the Toyota Motor Manufacturing Plant. 11:00 am Stop to visit with famous retired celebrity horses at Old Friends. 12:00 pm Welcome to Lexington - Lunch at Saul Good. Wander over to Triangle Park. 1:00 pm Take a scenic driving tour with a visit to a private horse farm. 3:00 pm Check in at hotel. 4:00 pm Depart for evening in Renfro Valley, KY to enjoy an old-fashioned dinner and show. 8:30 am Breakfast at hotel. 9:30 am Tour one of our historical homes, Ashland, Hunt-Morgan House, Mary Todd Lincoln House, or Waveland. 11:30 am Take a scenic drive to Irish Acres Gallery of Antiques. Lunch at The Glitz Restaurant. 2:30 pm Head to Old Kentucky Chocolates for a tour and souvenir shopping. 5:30 pm Dinner at one of our group friendly dining options featuring local specialties. 7:15 am Early morning workouts and breakfast at the Track Kitchen. Watch Thoroughbreds work out -- trackside. 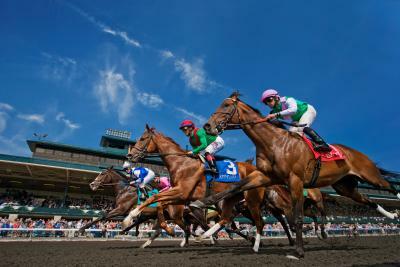 Your step-on guide gives you a behind-the-scenes look at the Thoroughbred racing world. Shopping at the Keeneland Gift Shop. 10:00 am Visit Headley-Whitney Museum, a unique museum featuring a Jewel Room, Shell Grotto and fine art objects for a tour and lunch. 1:00 pm A "sweet" stop at Old Kentucky Chocolates to see bourbon chocolates being made. Tasting allowed! 2:00 pm Photo"op" at Thoroughbred Park . 3:00 pm Return to the hotel. 6:30 pm Dinner at one of Lexington&apos;s fine restaurants. 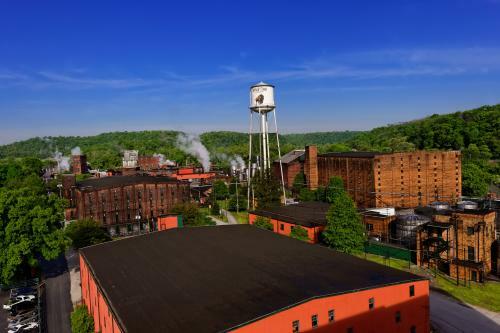 Head to Buffalo Trace Bourbon Distillery for a tour of the oldest continually operating Bourbon distillery in the world. 10:30 am Continue on to Frankfort, our state capital, touring the Governor&apos;s Mansion, the Floral Clock, Orlando Brown Home, and the Thomas D. Clark Center for Kentucky History.